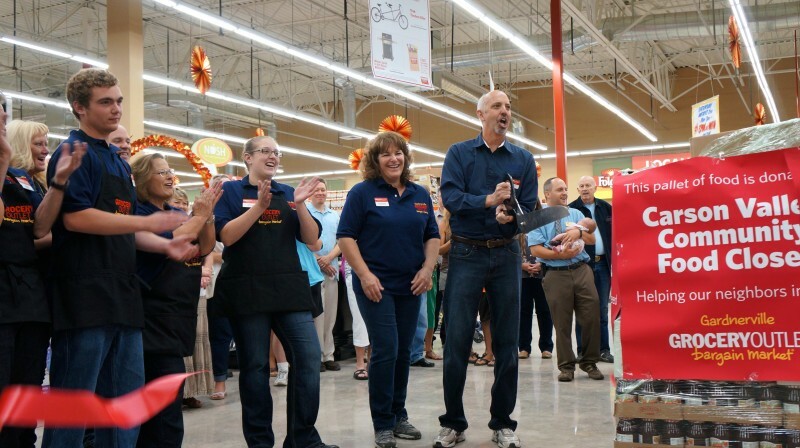 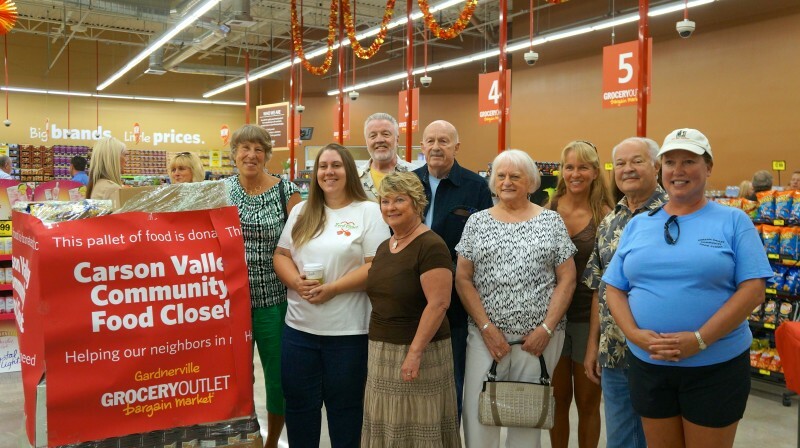 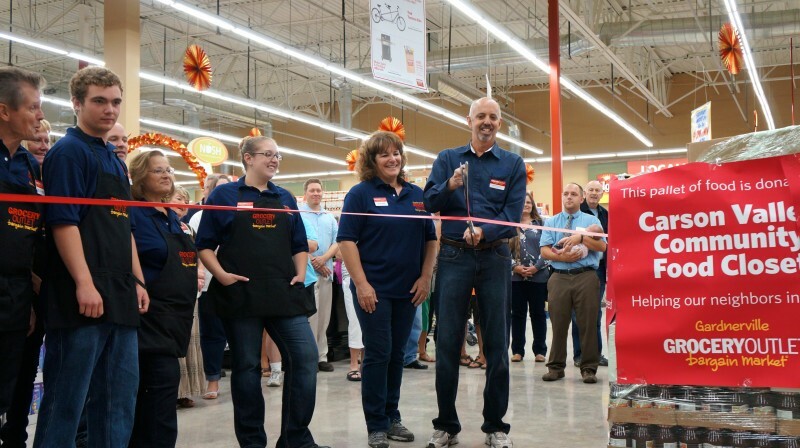 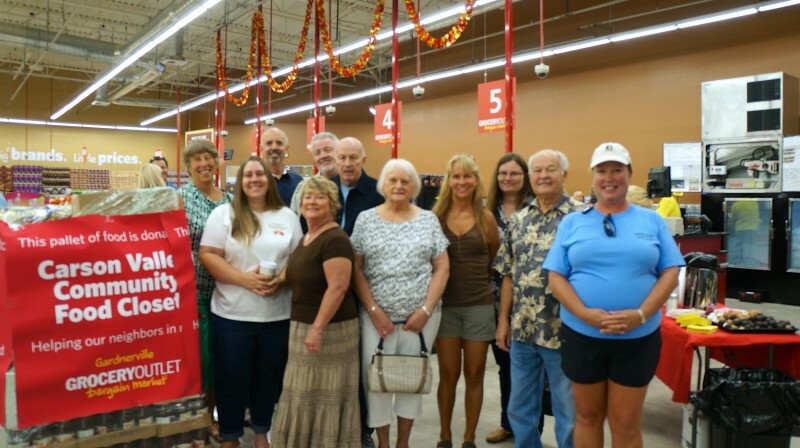 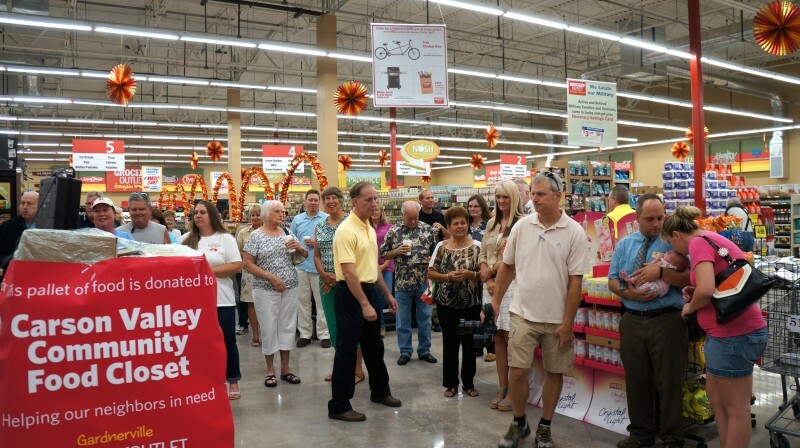 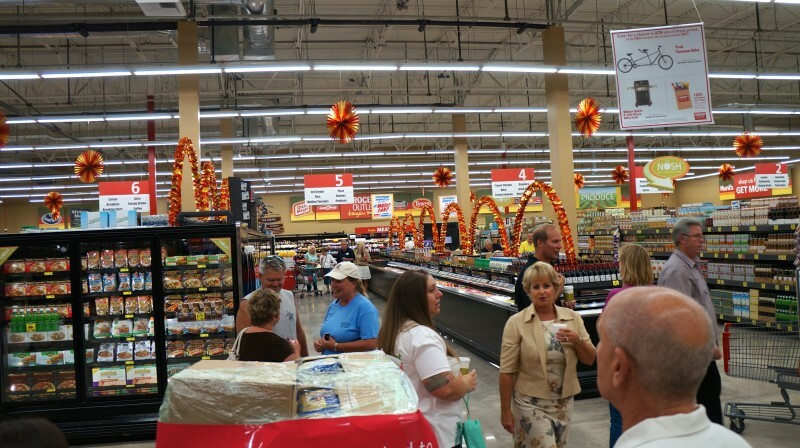 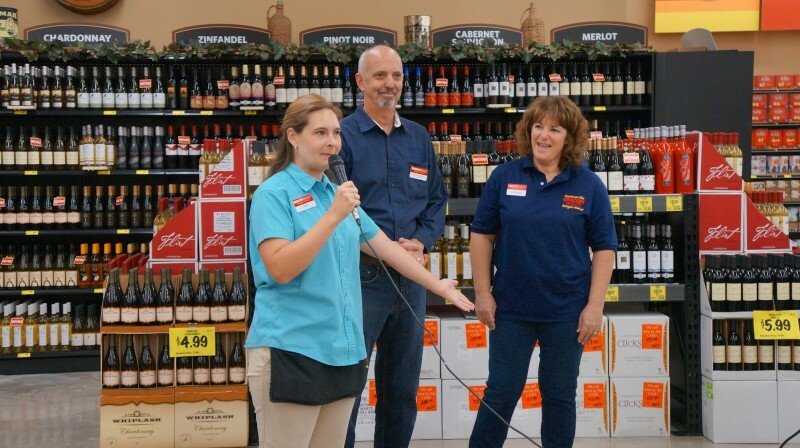 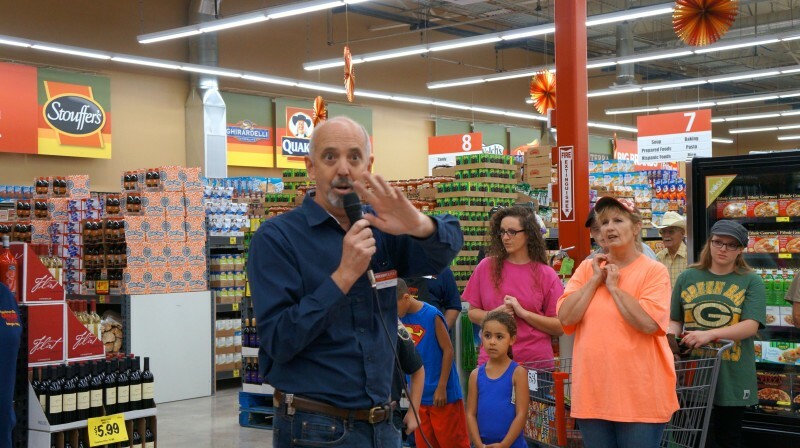 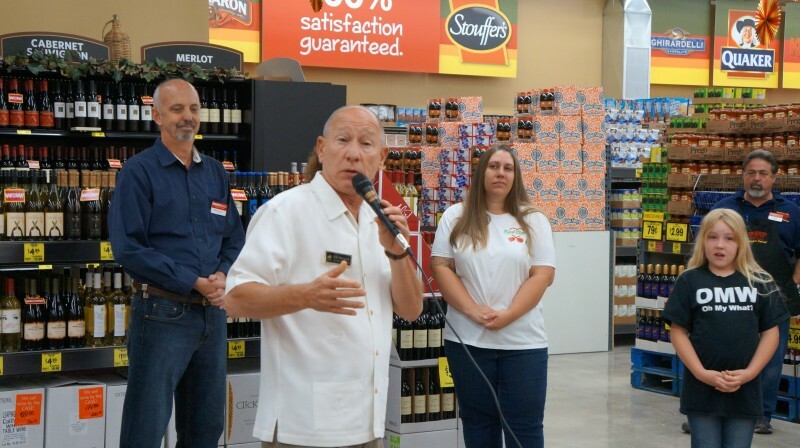 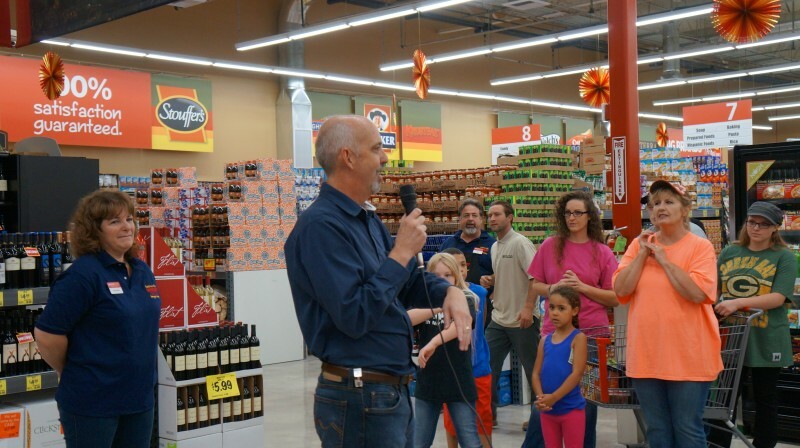 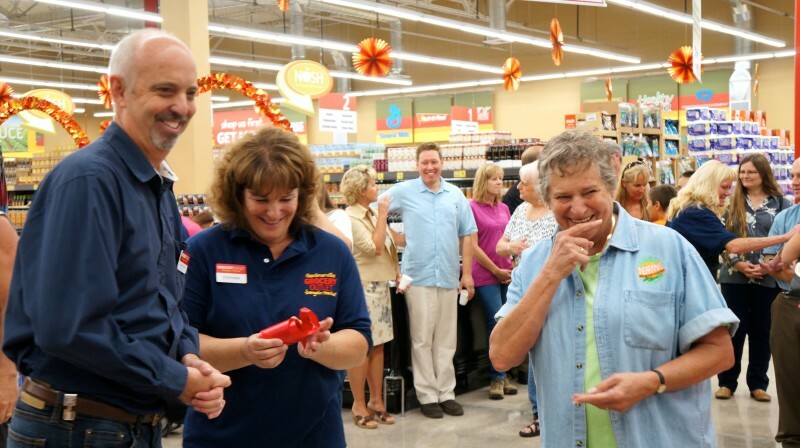 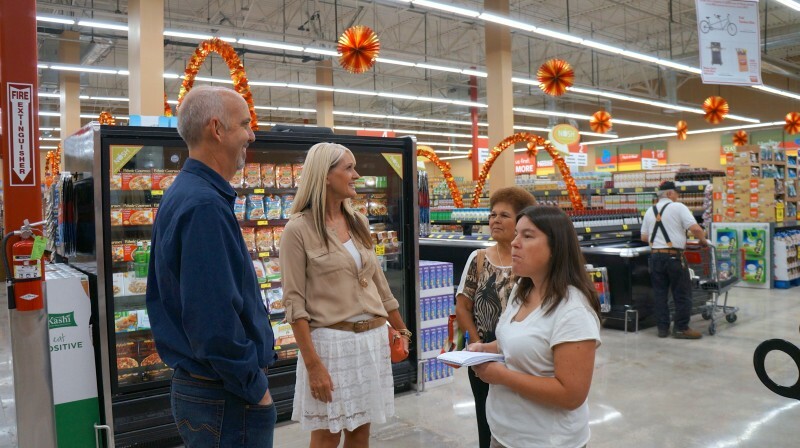 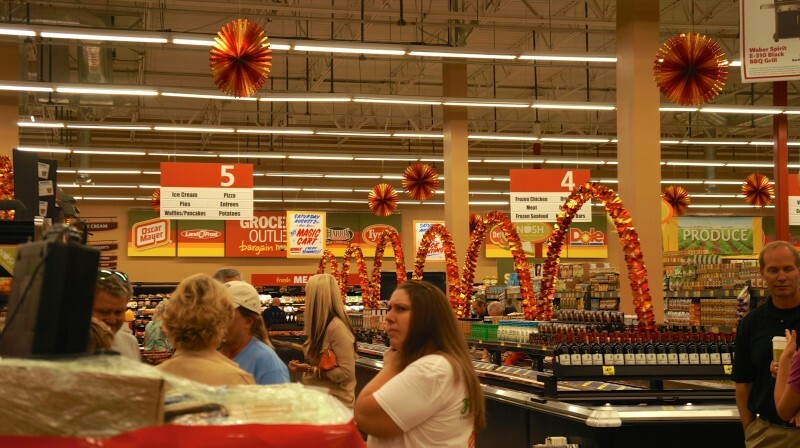 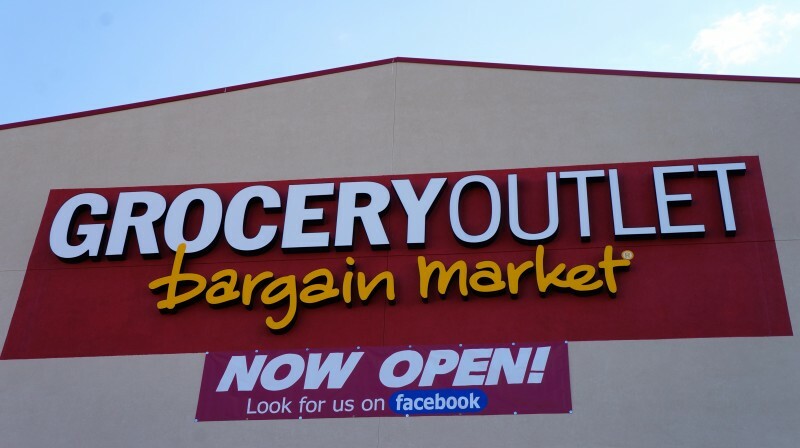 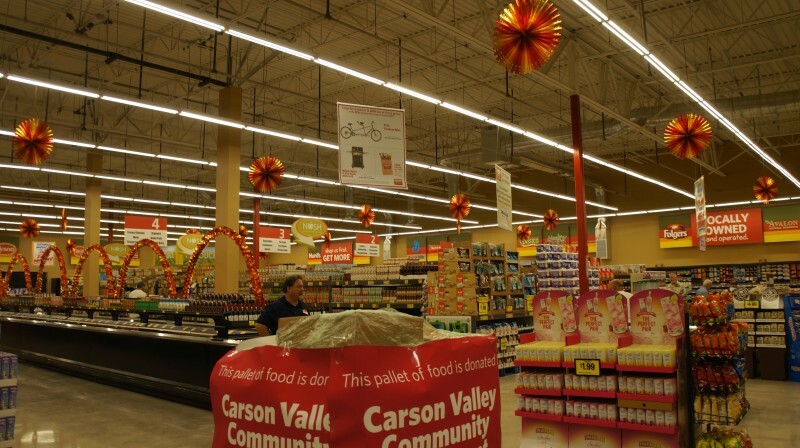 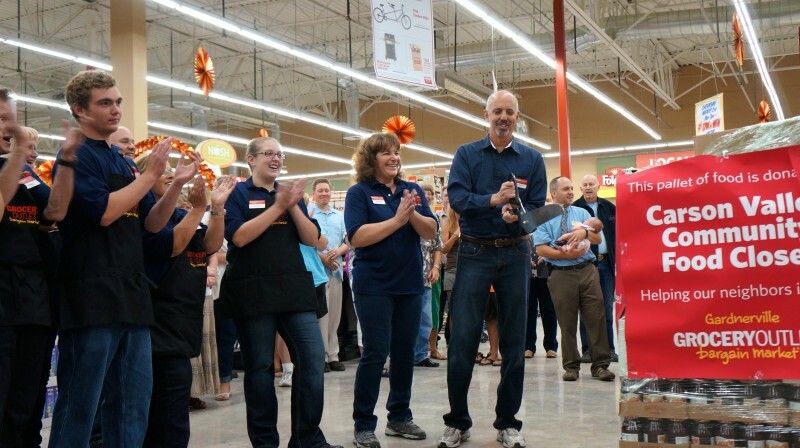 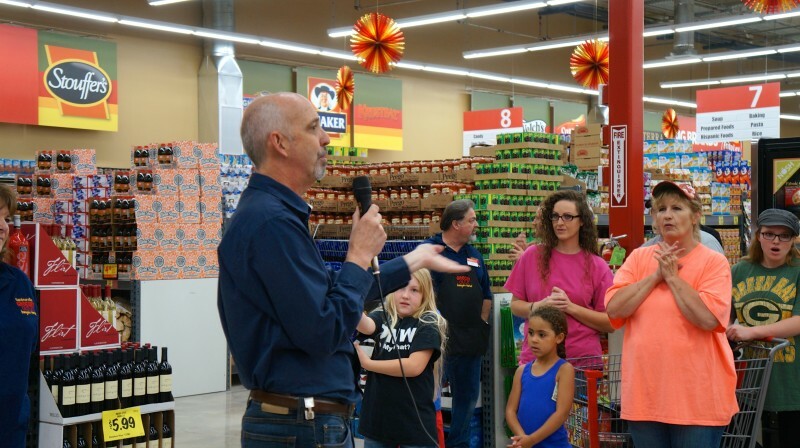 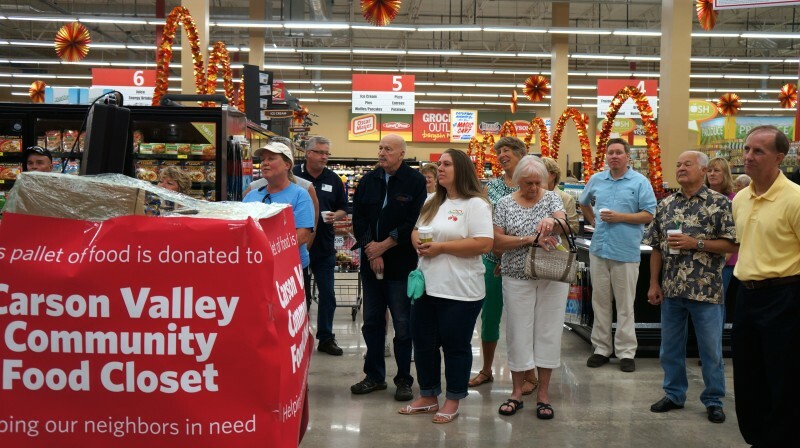 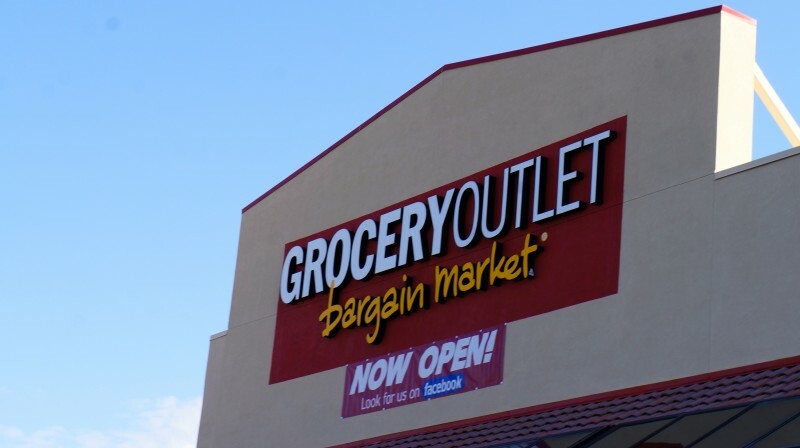 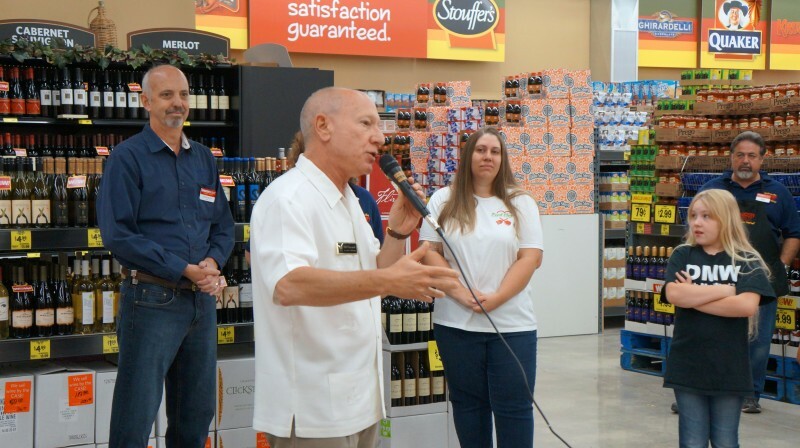 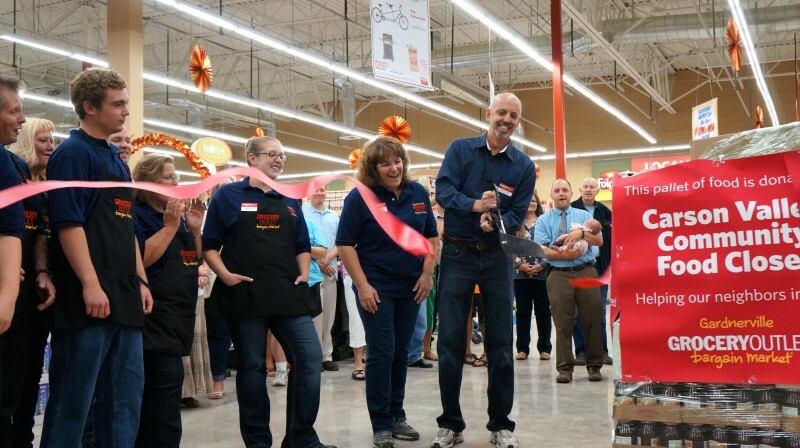 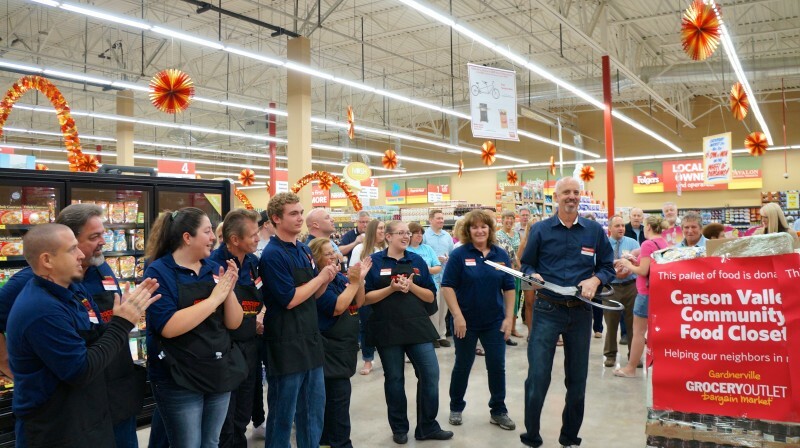 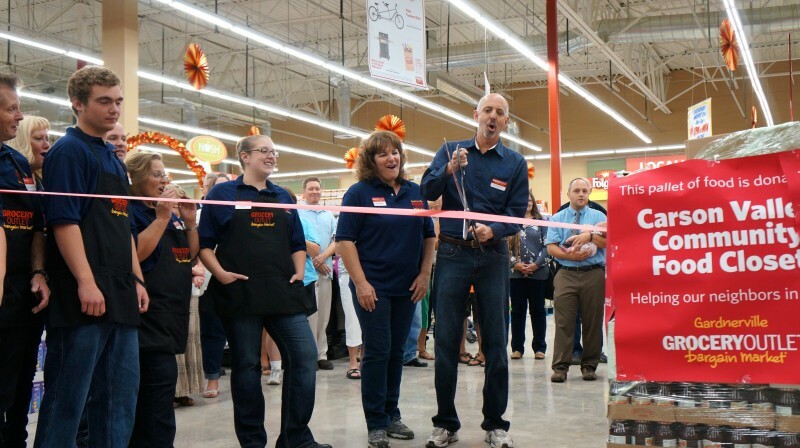 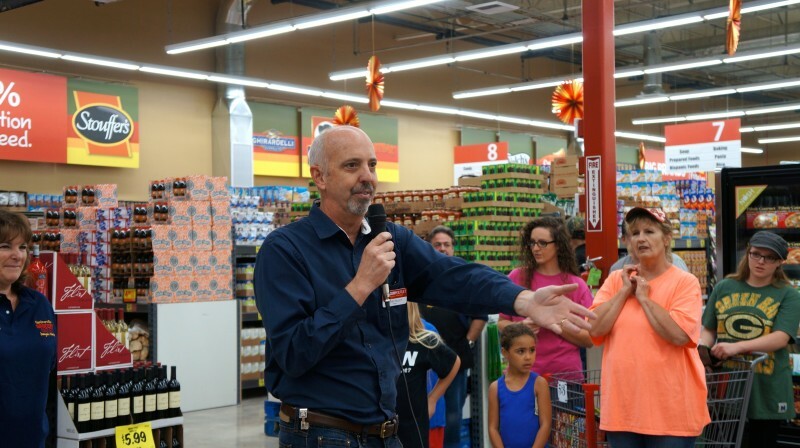 Congratulations to Kevin and Stephanie Talley and the team at Grocery Outlet on the store opening! 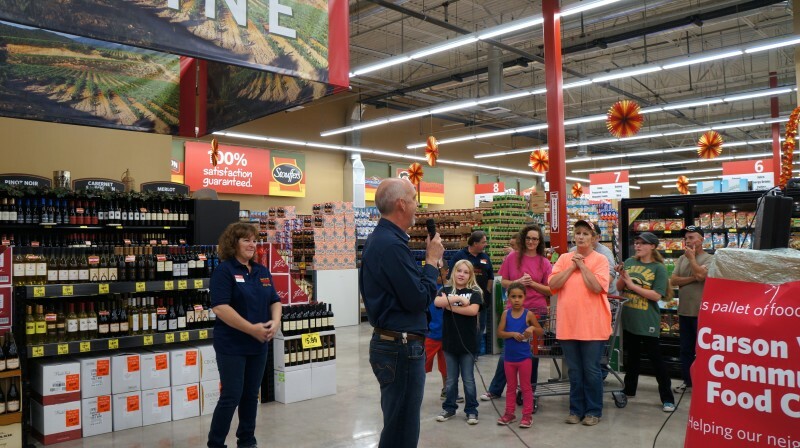 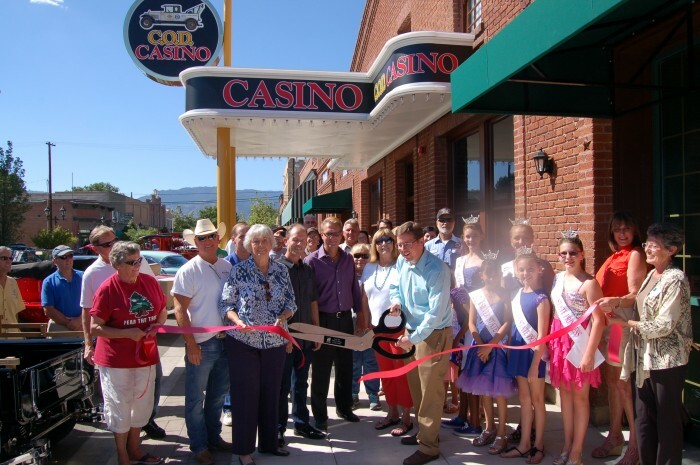 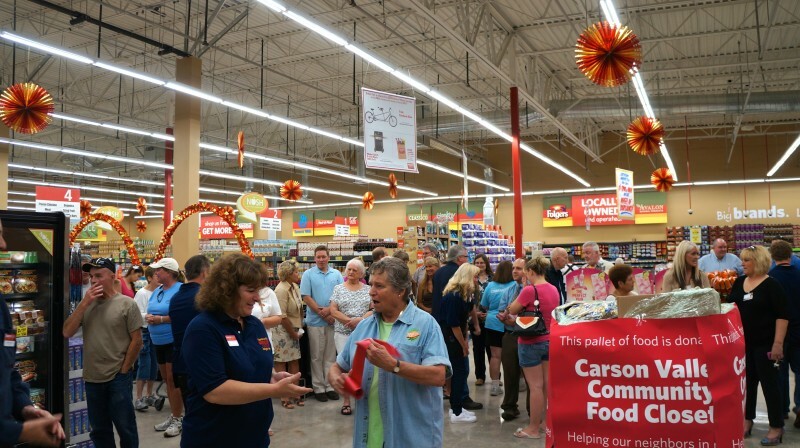 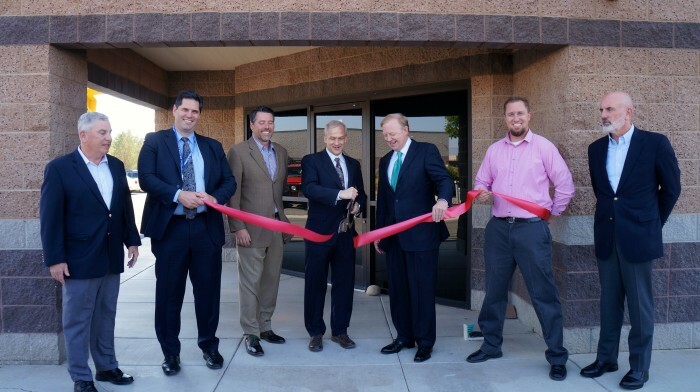 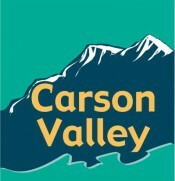 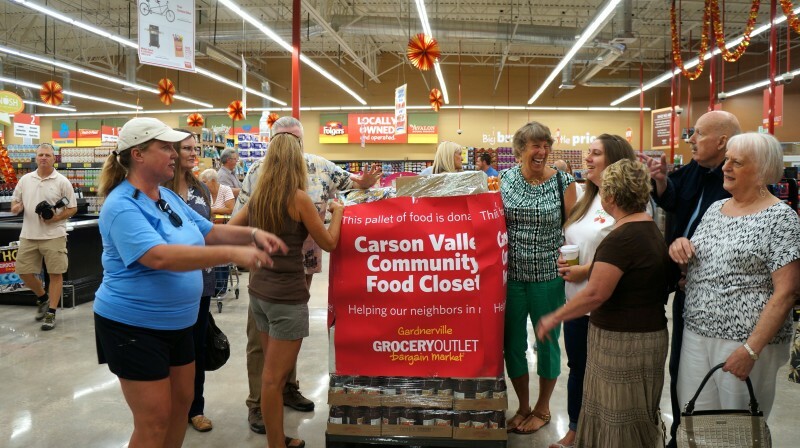 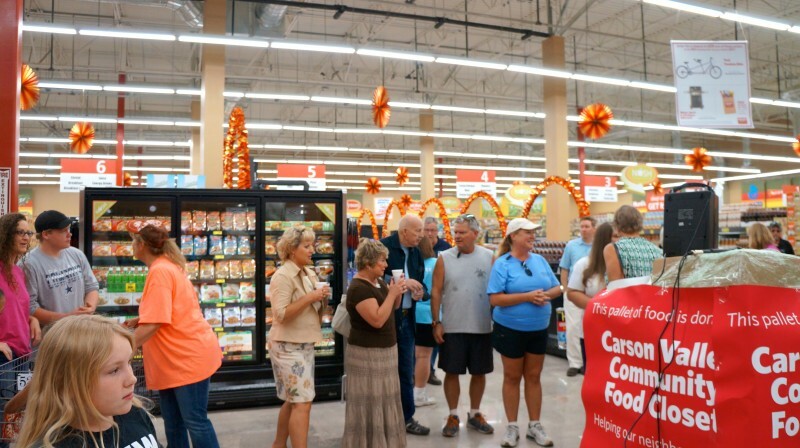 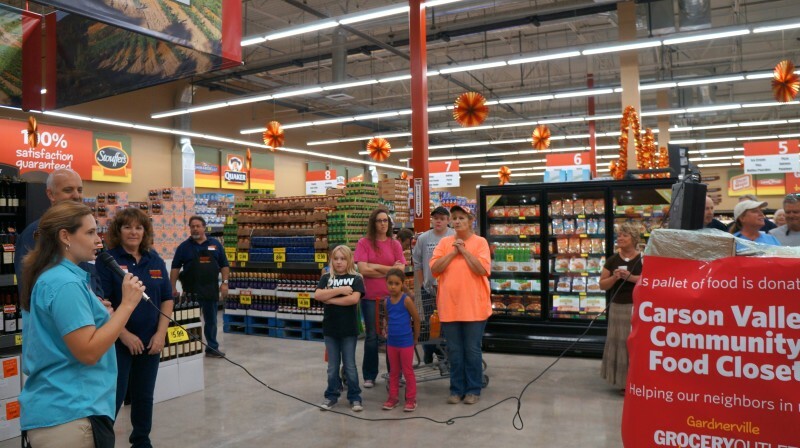 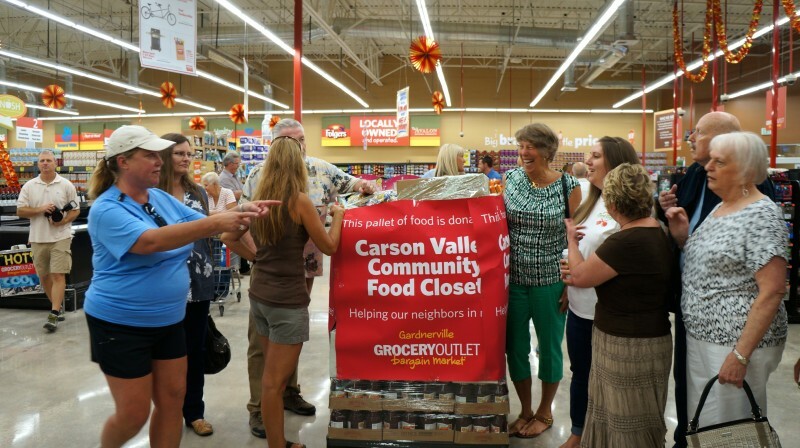 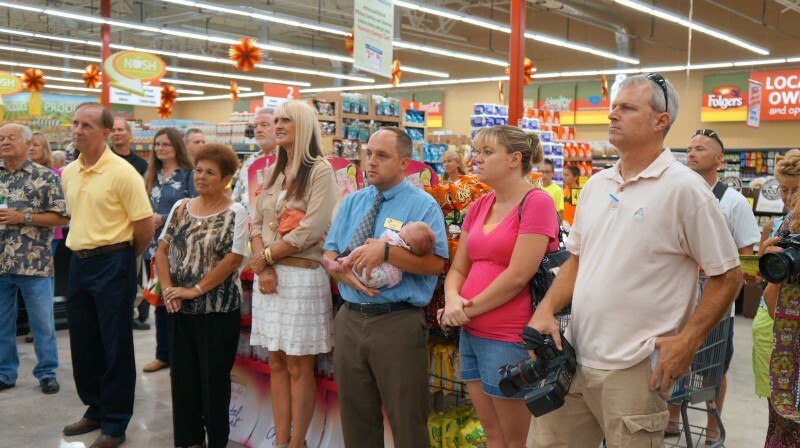 A crowd was on hand for the ribbon cutting and to check out the new store. 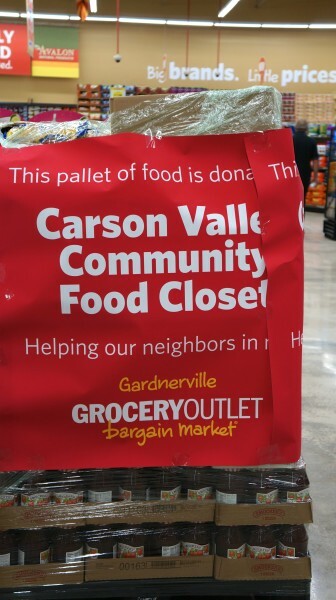 Members of the Board of the Community Food Closet were on hand to accept a donation of a pallet of food, the first of what will be many contributions from the store to the community.